Auburn University finance scholar James R. Barth comments on cryptocurrency and the QuadrigaCX situation. Barth is the Lowder Eminent Scholar in Finance at Auburn’s Harbert College of Business, a Senior Fellow at the Milken Institute and a Fellow at the Wharton Financial Institutions Center. 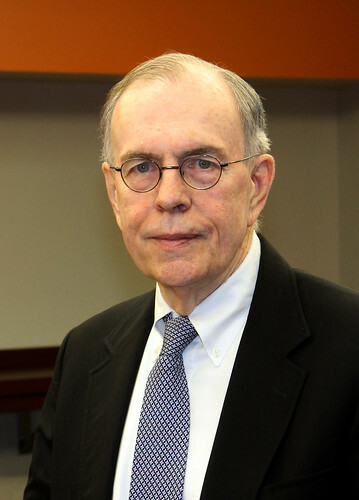 He has been a visiting scholar at the U.S. Congressional Budget Office, Federal Reserve Bank of Atlanta, Office of the Comptroller of the Currency and the World Bank. Since cryptocurrency has limited, or no, regulations, what solution do you propose to regulate—or should cryptocurrency remain unregulated, and why? Barth: The first cryptocurrency was Bitcoin and it was introduced in 2009. There are now more than 2,500 cryptocurrencies in existence. However, just 25 of them account for 90 percent of the total market capitalization. Bitcoin is the most widely known and accounts for slightly more than 50 percent of capitalization. The two types of cryptocurrency: one type is used for making payments and the other type is used to raise funds by firms. The former type is not money because it is not widely accepted as a medium of exchange, a stable source of value and a unit of account. Cryptocurrencies currently account for a relatively smaller share of payment transactions and many of those transactions may be due to speculation. Cryptocurrencies used to make payments like Bitcoin are not regulated, while those used to raise funds are considered securities by the SEC and therefore regulated by it. Of course, the use of cryptocurrencies for illegal purposes are subject to regulatory and legal action. How could regulations be instilled, and who could possibly govern? Barth: Cryptocurrencies that are used to raise funds are subject to regulation by the SEC. Those used simply to make payments are not subject to regulation. However, all cryptocurrencies are subject to regulatory and legal action when used for illegal purposes. Some countries, like China, do recognize cryptocurrencies as legal tender and ban the raising of funds through the issuance of cryptocurrencies. In the U.S., cryptocurrencies are not considered as legal tender and therefore not required to be accepted as a payment mechanism. Exchanges for cryptocurrencies are subject to regulation by some states. In addition, the IRS considers cryptocurrencies to be subject to capital gains taxes. The major concern at present seems to be how to regulate cryptocurrencies to limit their use for criminal or illegal activities. What could have been done to prevent the QuadrigaCX situation, and are we at risk of a similar problem arising for other holders of cryptocurrency? Barth: Alarmingly, the founder of the Canadian cryptocurrency exchange, QuadrigaCX, died on December 9 and took with him the only password necessary to access C$250 million of its customers' funds. Without that password, QuadrigaCX cannot gain access to those funds for the customers. Certainly, one would expect every other firm issuing cryptocurrencies to be sure this situation never occurs again. Is cryptocurrency a reputable, trustworthy means of monetary trade, or should we avoid? If it is viable and safe, why do you recommend this method? Barth: Cryptocurrencies are still relatively new and not widely used. It is reported, moreover, that even the best-known cryptocurrency, Bitcoin, has been used in a relatively significant number of transactions associated with illegal activity. In addition, the price of Bitcoin has fluctuated quite widely in recent years, from a high of $19,000 in December 2017 to a low of $3,400 in early February 2018. More generally, according to CoinMarktCap the global cryptocurrency market has lost more than $700 billion in total market capitalization over the past year. This certainly means that investors must be cautious and selective when acquiring cryptocurrencies. To arrange an interview with Dr. Barth, please contact Preston Sparks, Auburn University director of communications, at 334-844-9999 or preston.sparks@auburn.edu.